October 13, 2017 — Every Friday the 13th, my socials fill with images of hockey masks and horror movie GIFs, relieved here and there by the image of a black cat or two. It’s like a mini-Halloween all its own even when it doesn’t appear in October. This is relevant to me standing in front of a spooky tower. Just let me exposit for a bit first before I make the connection. The origin of this day that has become synonymous with slasher movies and bad juju is obscured by the misty past. Just glance at the Wikipedia page on the topic. It’s all over the place. From Christ’s crucifixion to the annals of the Knights Templar. All. Over. The. Place. But the guy who many say really solidified Friday the 13th as a modern culture artifact wasn’t Sean Cunningham, the writer and director who struck blood with a murderous mother rampaging across a camp full of frothing hormones. It was Thomas W. Lawson, about 73 years before the first Friday the 13th debuted. Lawson wasn’t a scrappy low-budget movie maker, though. He was a multi-millionaire stock broker who had his hands in businesses all over the country. And in 1907, Lawson published a novel called Friday the Thirteenth. But Friday the Thirteenth was no horror novel. There were no supernatural shenanigans within its pages. No bloody maniacs. It was a financial thriller. A Wall Street heist story. In the book, a stock broker tries to crash the market and chooses that day for its superstitious reputation. It’s more John Ellsworth than Ramsey Campbell. I chose both those genre names at random. 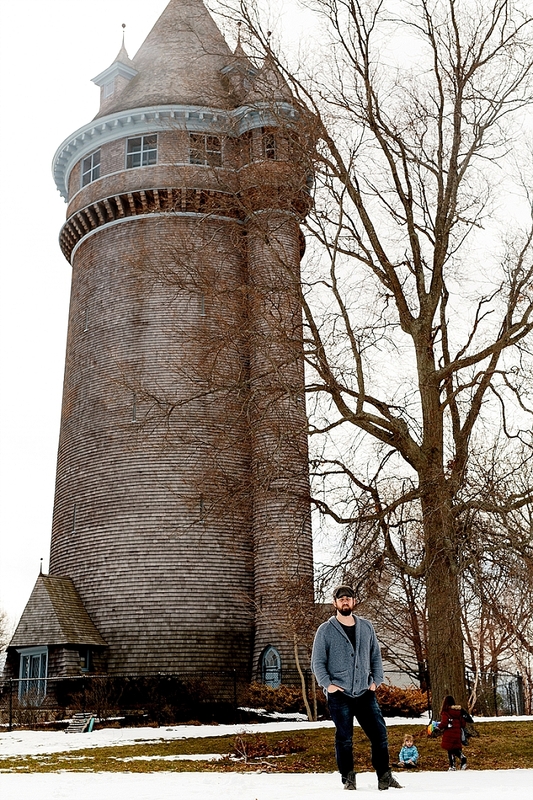 Now let’s get to me standing in front of a spooky tower. When I first read about Lawson, I noted that he was a native New Englander. Born in Charlestown, Massachusetts. So I wondered if there were any trace of this man still in the Boston area. And I came across one of his houses, which still survives, but then I realized it does so over in Grand Rivers, Kentucky. That’s too far away from me for a day jaunt. And then I learned about Dreamwold. Dreamwold was Lawson’s Scituate, Massachusetts, estate. It took him a year to build, from 1901 to 1902, cost $6 million, and was set on 300 acres. The estate included an entire town’s worth of buildings, most of them covered in those distinctive cedar shingles that Scituate and other parts of the Massachusetts coast are known for. Apparently, though, Lawson died in poverty. All money can be spent, after all, and his land was eventually subdivided into Scituate and the buildings all torn down. Except for one. A tower. One that he didn’t originally plan to build. One that was meant to hide something. The secret of his wealth perhaps. Maybe his wealth itself. I love seeing that tower as a Scrooge McDuck-style money bin. 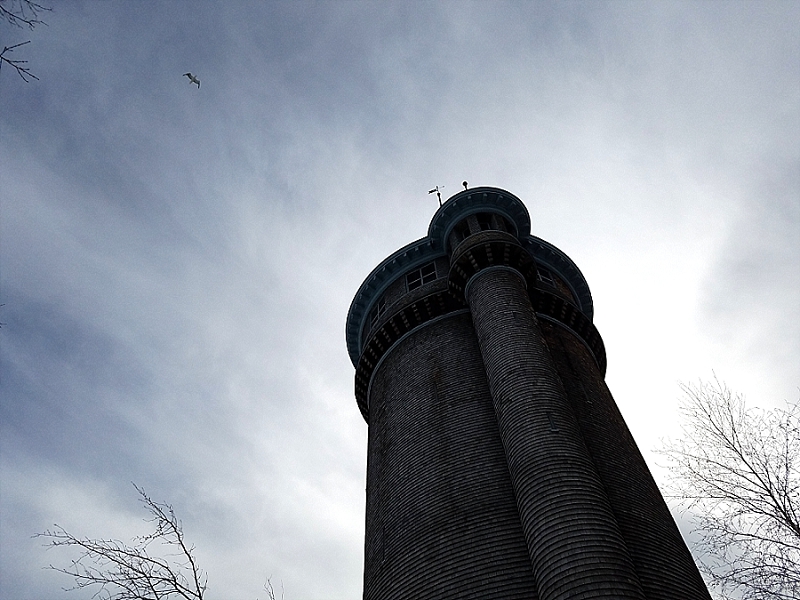 But, nah, it’s just a water tower. 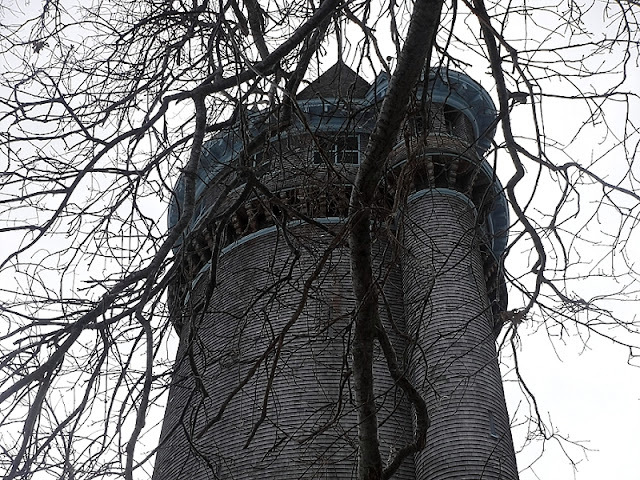 The town erected a conventional water tower near his estate, but Lawson and his wife thought it was ugly and hated how it wrecked their view. 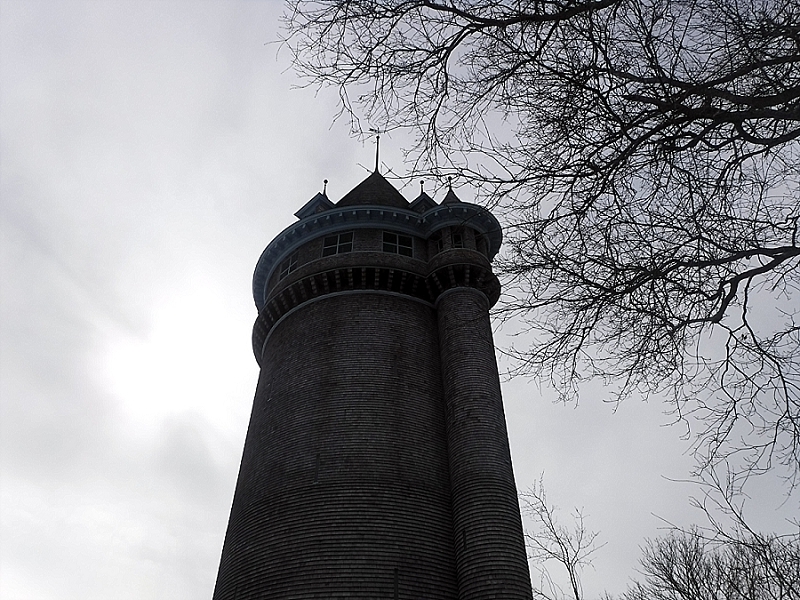 So they encased it at their own expense in a European-style tower. And let me tell you. This thing is massive. Has both length and girth, as they say. It’s 153 feet tall and 53 feet in circumference. Inside, there doesn't seem to be too much. 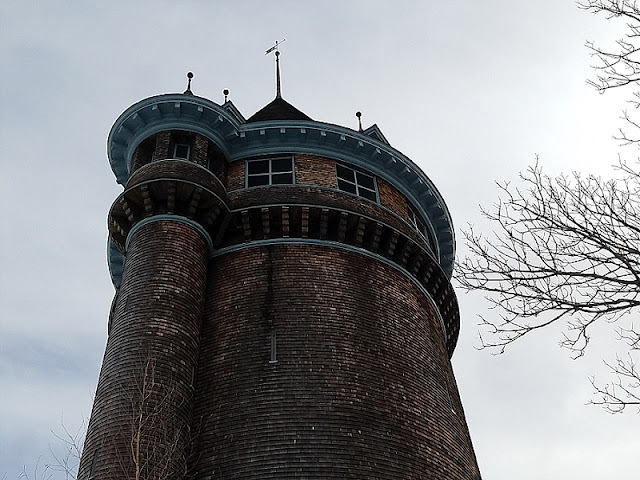 Lots of steps, an observation deck, and a big space where the old water tower used to be before they removed it and kept its much more interesting outer wrapper like kids at Christmas. But I’m only getting all the from the Internet. I wasn’t able to go inside the structure because it’s only open for tours a few times a year. I just stood at its base, stared up gray-brown flanks, and got dizzy. 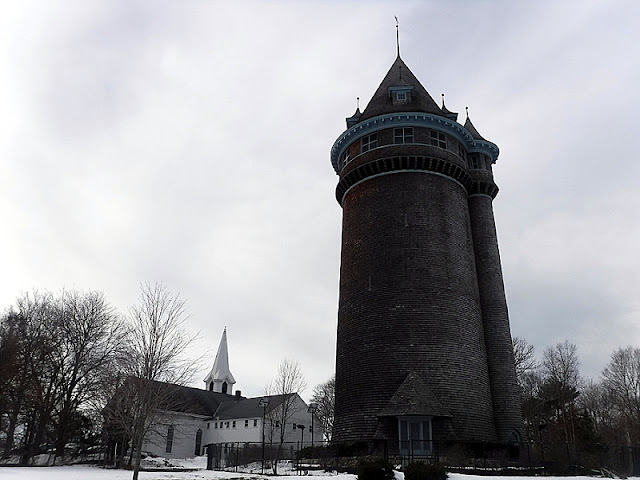 I love the idea that there’s a spooky old tower in New England built by the guy that popularized Friday the 13th. But the bummer side of that is that every Friday the 13th, my socials technically should be filled with bronze bull statues and stock exchange tickers. Hard to have a mini-Halloween around that.